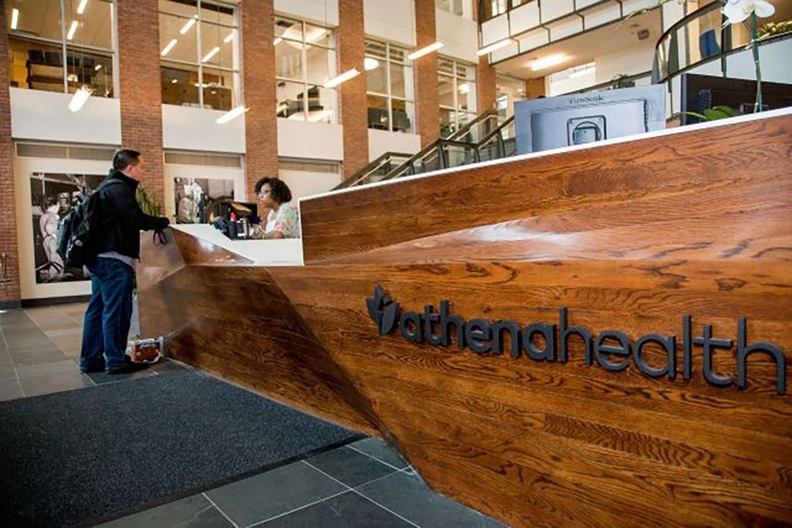 Electronic health record vendor Athenahealth booked less business in the first quarter compared to a year ago even though it closed a higher rate of deals, a decrease it attributes in part to weak demand. Athenahealth CEO Jonathan Bush on Friday attributed the drop to a "sugar low" in market trends, noting that providers do buy their product when they're serious about a purchase. The de facto end of meaningful use, along with the fact that "MACRA and MIPS aren't even that significant" also contributed to weaker demand, he said. But Athenahealth is well positioned for growth as Apple and Amazon enter the healthcare space and hospitals enter mega-mergers. "All of the major moves depend for their success on the ability to coordinate more completely the care of more patients," Bush said in an investors call Friday. The company added clients to both its ambulatory and hospital EHR products. Hospital clients jumped 22% between the end of 2017 and the end of March 2018. Chief Financial Officer Mac Levine said their client churn was stable in the first quarter. When clients did leave the platform, it was primarily because they were part of a consolidation, when hospitals often move to a single EHR platform. In the first quarter of 2018, Athenahealth had revenue of $329 million based on new revenue recognition standards. Based on the old standards, used for comparison to last year's numbers, the company had $320 million in revenue. That's a 12% increase from the first quarter of 2017, when the company's revenue was $285 million. At the end of 2017, Athenahealth laid off about 9% of its workforce. It will now reinvest some of the savings from those layoffs in research and development efforts—"the right direction for long-term growth," Levine said.